HBO’s Silicon Valley explores the tech startup industry, with a humorous point of view. 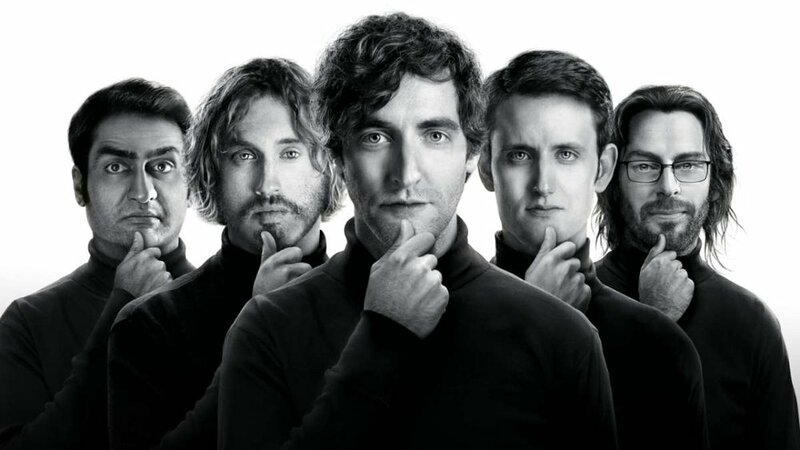 Along with the laughs at the sometimes incompetent, sometimes genius programmers, the show also delves into many interesting legal issues faced by the Pied Piper team, including corporate law; intellectual property theft; non-compete agreements; trade secrets; and corporate espionage. All these real life legal issues play out to our amusement on the show, although sometimes the drama happens in real life as well: Jawbone’s recent failure has been cited as the “second-costliest-VC-backed startup failure of all time,” and who can forget the litigation between Marc Zuckerberg and the Winklevoss brothers (dramatized in the Oscar winning The Social Network). We here at Wolf Popper enjoy Silicon Valley and, as we are lawyers, sometimes discuss the legal issues that drive the plot. We thought that we would discuss some of these issues that are presented in Season 5 here on our blog. Spoiler alert: if you want to watch first (you do), detour to HBO, quickly binge watch seasons 1-4, and episodes 1 and 2 of the current season, and come back to read our take. We begin Season 5 with Richard Hendricks, our favorite genius and anxious Pied Piper CEO, in quite the predicament: brand new gorgeous offices, a patent wanting to be fully realized into a new decentralized internet, and… no staff in sight but for three “magnificent stallions” as Gilfoyle and Dinesh lovingly [read: creepily] refer to them. Luckily, Richard and Pied Piper snuff out the weakness of Sliceline’s business model: while Sliceline aims to find you the cheapest delivery pizza in any given area, during it start-up phase it is buying pizzas from Domino’s and repackaging them in Sliceline boxes. Putting aside the legality (and morality) of passing another’s pizza off as your own, Sliceline is losing $5 per pizza until order routing and allocation is optimized. Richard and his engineers create a botnet program and thousands of fake users, indistinguishable from real ones, all over the city that will order pizzas, maximizing Sliceline’s delivery time and costs, all for the purpose of devaluing Sliceline so that Pied Piper can make a lowball acquisition offer that Sliceline cannot refuse. [Did anyone else wonder what they did with the roughly 2,000 pizzas they ordered?] Pied Piper wins again with the acquisition of Sliceline, firing Duncan and Kira, and successfully gaining 50 new employees, which is a few…err 38…more than they set out for. Queue all of Richard’s nerves. But does Richard’s negotiation strategy cross a legal line? The threat and use of bots to order pizza and bleed Sliceline to bankruptcy, all for the purpose of devaluing the company, does sound shady. But is it extortion, or just hard bargaining? The California Penal Code defines extortion as “the obtaining of property or other consideration from another, with his or her consent, or the obtaining of an official act of a public officer, induced by a wrongful use of force or fear, or under color of official right.” “Fear” to rise to the level of extortion “may be induced by a threat… [t]o expose a secret affecting him, her, or them.” While we are not experts in the California Penal Law here at Wolf Popper, Richard’s actions do not seem to rise to the level of extortion. His threat is not to expose a secret, he was able to figure out Sliceline’s weakness on his own from public information. One can’t deny though, it seems sinister. On the other hand, one could argue that Richard’s tactic was merely a result of close observation and the need for vengeance; he didn’t rely on any facts that were not otherwise available, or perhaps obvious, to the public. Any other coder in the Valley, given the funds, could have made the same calculated move. We leave off Episode 1 skeptical of how this trio of companies are going to interact, especially with Richard unable to take leadership and address the room. In the background another legal issue comes to the forefront. We haven’t seen Erlich in a while, thanks to Gavin (see the season finale of Season 4), and Jian-Yang decides to take over Erlich’s incubator house and business. Jian-Yang tries to pass a (clearly forged) letter off to Pied Piper’s in-house lawyer to assert that Erlich has given the house to him, only to find out from the lawyer that a) the lawyer does not represent Erlich personally, and b) Jian-Yang must prove that Erlich is dead in order to acquire the property. Getting into Episode 2 we see that Jian-Yang is still serious about his endeavor when he reveals a dead pig corpse in the back of his car which he plans to cremate to replicate a dead Erlich’s ashes. [Are pigs and large humans close enough to pass? Maybe?] It’s a little concerning that Jian-Yang is able to have Erlich declared dead with nothing more than some forms and pig ashes. One would hope that the Court required a copy of a death certificate or other official document proving his death, and proof that he made a diligent search for family. Forging or filing fake copies of public record is typically a felony, and California law requires someone to be missing for five years before they are presumed dead. When Jian-Yang makes it to court, the judge seems more sickened by cremated remains in a courtroom than incredulous of the identity of said remains, and delivers the biggest blow to Jian-Yang’s wild plan. If Jian-Yang wants to be executor of Erlich’s estate, he must also take care of Erlich’s debts and bills; and as it seems Erlich had quite a few debts to pay off. Mirroring the back and forth between Gilfoyle and Dinesh, Jian-Yang makes the decision that the reward of pride and being financially involved in Pied Piper’s presumed success is worth the costs and effort. News stories of data breaches have become all too common these days. From retail giant Target’s colossal data breach of 70 million of its customers during the 2013 holiday season, to the Equifax credit reporting data breach that impacted almost 148 million consumers, to Facebook's negligence in safeguarding the personal data of 50 million users, to the Hudson's Bay Company (think Saks and Lord & Taylor) breach affecting more than 5 million customer debit and credit cards, now more than ever the conveniences provided by our digital world put the security of our personal information at risk. How can victims of data breaches respond? There are recommended security steps to take depending on the data exposed. You may need to change the login ID and password at the hacked website, monitor your bank accounts and credit reports, or cancel and request new credit cards. In addition, consumers may be able to bring lawsuits against the company that exposed your data. 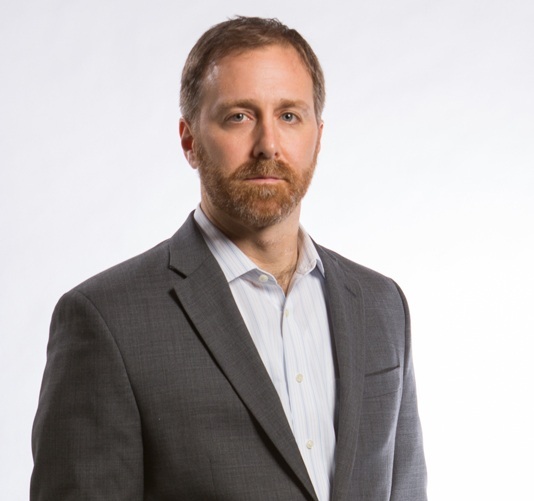 The question of who can bring a suit in response to a data breach has been debated and litigated in a number of courts. 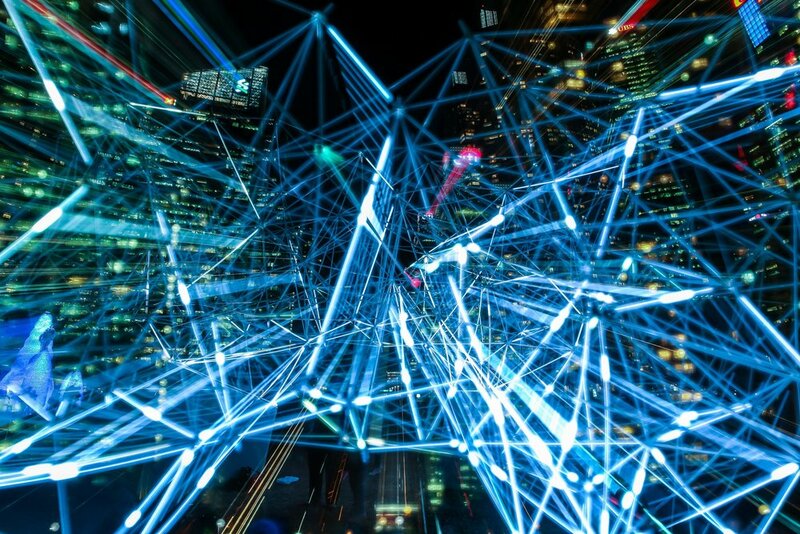 One question debated is whether the data must have been used to commit identity theft or fraud or cause financial losses, or whether the potential for identify theft or losses is enough. The U.S. Court of Appeals for the Ninth Circuit recently held in In re Zappos.com, Inc. Customer Data Security Breach Litigation that a substantial risk of identify fraud or theft can be a sufficient harm (standing) to bring a lawsuit. In 2012, hackers breached Zappos’s servers and gained access to names, account numbers, passwords, email addresses, billing and shipping addresses, telephone numbers, and credit and debit card information of more than 24 million customers. Customers impacted by the data breach sued Zappos. The U.S. District Court for Nevada dismissed the claims of customers who had not alleged that they had already suffered financial losses (those alleging the risk of future identify theft and losses), but allowed the claims of those who had alleged they suffered financial losses to continue. The Ninth Circuit disagreed, and held that the plaintiffs' allegations of substantial risk of identify fraud or theft were sufficient to show standing because they alleged a credible threat of real and immediate harm. The Ninth Circuit’s decision seems to recognize that the sensitivity of the information stolen, i.e. whether it can be used to commit identify theft, plays a part in whether or not the plaintiffs can bring a claim. The Zappos plaintiffs alleged that the data stolen in the Zappos breach gave hackers the means to commit identify theft and fraud. The Ninth Circuit found this to be credible, relying on the facts that some consumers had already suffered identify theft, and Zappos urged customers to change their passwords at Zappos and any other account where they used the same or a similar password. The Ninth Circuit’s decision recognizes that the risk of identity theft and fraud resulting from a data hack of sensitive information is very real, and consumers have been injured whether or not they immediately suffer financial losses from identity theft. After all, hackers who steal consumers’ data do so with the intention of exploiting it for their own personal gain, not simply for the thrill of stealing it. For more information as to your rights, please contact Wolf Popper LLP at www.wolfpopper.com. On March 20, 2018, the Supreme Court decided Cyan, Inc. v. Beaver County Employees Retirement Fund, unanimously confirming that state courts have jurisdiction to hear class actions arising under the Securities Act of 1933 (the “Securities Act”). The Supreme Court further held that these type of class action cannot be removed from state to federal court. The Securities Act regulates a public offering of securities (such as an initial public offering), while the Securities and Exchange Act of 1934 (the “Exchange Act”) regulates the trading of securities on national exchanges (such as the New York Stock Exchange). Together, these two acts provide the foundation of the federal securities laws. Congress provided federal courts with exclusive jurisdiction over Exchange Act claims. However, it provided a rare grant of concurrent jurisdiction to state and federal courts over Securities Act claims. Investors could therefore bring federal securities claims arising out of public offerings in either state or federal court. Moreover, the Securities Act prevented a corporate-defendant from removing claims properly brought in state court to federal court. In 1995, as a result of perceived abuses of the federal securities laws, Congress passed the Private Securities Litigation Reform Act (the “PSLRA”). With the aim of eliminating lawsuits that appeared to be frivolous, the PSLRA made significant amendments to the securities laws, including, inter alia, a safe harbor for forward-looking statements, heightened pleading requirements, and an automatic stay of discovery pending a motion to dismiss. As a consequence of (presumed) legislative oversight, litigants were free to avoid the PSLRA by bringing securities class actions in state courts under state statutory and common laws (blue sky laws), which do not offer corporate-defendants the same protections afforded by the PSLRA. In response to an increase in state court filings as a workaround for the PSLRA, Congress passed the Securities Litigation Uniform Standards Act of 1998 (“SLUSA”). SLUSA reinforced the PSLRA’s protections against potentially frivolous securities litigation by amending Section 16 of the Securities Act (15 U.S.C. § 77p) to prohibit “covered class actions” (those involving more than 50 investors) arising under state blue sky laws (e.g., actions involving false statements or deceptive devices in the sale of securities). SLUSA also required any action in violation of the Section 16 prohibition to be removed from state to federal court, thereby ensuring dismissal of the state law action. Furthermore, in what the Supreme Court theorized may have been a bout of hypersensitivity by Congress, SLUSA amended the Securities Act’s jurisdictional provision (§77v(a)) to grant concurrent jurisdiction between state and federal courts, “except as provided in section 77p [Section 16] of this title with respect to covered class actions . . .” (the “Section 16 exception”). In other words, the grant of concurrent jurisdiction under the Securities Act became limited by Section 16’s prohibition of covered class actions. Following the passage of SLUSA, state and federal courts around the country were split as to whether the Section 16 exception prevented state courts from hearing federal securities claims. In cases such as Knox v. Agria Corp., courts held that the Section 16 exception applied to any “covered class action” brought in state court, i.e., any securities claim on behalf of more than 50 investors. This interpretation effectively granted federal courts exclusive jurisdiction over securities class actions, including federal claims arising under the Securities Act. In contrast, in cases such as Luther v. Countrywide Financial Corp., courts held that the Section 16 exception applied only to covered class actions arising under state blue sky laws, and not federal Securities Act claims brought in state courts. This interpretation preserved the existence of concurrent jurisdiction between state and federal courts under the Securities Act. Enter Cyan. In Cyan, the Supreme Court resolved the split by affirming a California Superior Court ruling that relied upon Luther to find that state courts had jurisdiction to hear Securities Act claims. Justice Kagan, on behalf of a unanimous Supreme Court, focused on the plain text of the Section 16 exception and found that, “by its terms,” it has no effect on Congress’s grant of concurrent jurisdiction for Securities Act claims. Specifically, Justice Kagan declared that the Section 16 exception applies only to securities class actions arising under state blue sky laws. Justice Kagan then responded to an argument raised by the United States Government in an amicus curiae brief (although not at issue in the underlying Cyan case) and held that SLUSA did not alter the Securities Act’s prohibition on removing actions from state to federal court. As such, corporate-defendants called into state court for violations of the Securities Act continue to be barred from removing the case to federal court. By way of Cyan, the Supreme Court has upheld investors’ rights to bring class actions for violations of the Securities Act in either state or federal court. This is welcome news to investors seeking to keep open options for protecting their investments. Wolf Popper LLP is a preeminent law firm that has protected the rights of defrauded investors for over 70 years. Concerned that your investments may be exposed to securities fraud? Contact us, or monitor our ongoing investigations into potential securities fraud here. When it comes to healthcare in the United States, price may be the real killer. And with the Centers for Medicare & Medicaid Service recently predicting the growth of national health spending by an average of 5.5 percent per year from 2017 to 2026, there may be no end in sight. As numerous news outlets have reported over the past month (including The New York Times, NPR, and Consumer Reports), it has become all too common for an individual to visit an emergency room, have surgery, or be admitted to a hospital, only to be stunned months later when a bill arrives for thousands, tens of thousands, or even hundreds of thousands of dollars. A study published in The American Journal of Managed Care (the AJMC Report) last year found that the charged amount is typically “neither approved nor seen by patients in advance,” leaving many individuals unexpectedly saddled with large amounts of debt. Even for uninsured and out-of-network individuals who expected to be billed (self-pay patients), the amount of the charge can leave them shell-shocked. This experience can be particularly appalling to individuals who have health insurance and expect it to cover the costs of their healthcare. However, health insurance may not protect against “surprise bills,” such as those sent by out-of-network providers that performed services at an in-network facility, or “balance bills,” those demanding the difference between the amount charged and the amount an insurance company has agreed to pay. As a result, insured individuals may be left on the hook. Coupled with the abhorrent nature of chargemaster rates, healthcare bills are generated using a complex coding system, which can be manipulated through “upcoding” an individual’s treatment profile to increase the amount charged for the healthcare services. According to an article published in Forbes last fall, “what doctors get paid increasingly reflects more on their ‘coding’ skills than clinical ability.” For insured individuals, upcoding may go unnoticed because their insurance company is capable of analyzing claims and denying any that appear to be overreaching. In contrast, most self-pay patients lack this area of expertise, and therefore end up at the mercy of a sophisticated and secretive system, with little or no means to fight it. Fortunately, courts and state legislatures have stepped up to the plate in an attempt to protect individuals from the runaway price of healthcare. Some courts have found that healthcare providers are only entitled to the reasonable value of their services, not their chargemaster rates. For example, in Nassau Anesthesia Associates PC v. Chin, a New York State trial court found that a hospital’s list of chargemaster rates cannot be considered reasonable “unless it reflects ‘what is actually being charged in the marketplace.’” If it does not, the hospital is entitled to only “the average amount that it would have accepted as full payment from third-party payors such as private insurers and federal health care programs.” In Moran v. Prime Healthcare Management, Inc., a California appellate court found that chargemaster rates are substantively unconscionable because they “far exceed the actual cost of care and provide for a large profit margin.” And in Temple University Hospital v. Healthcare Management Alternatives, Inc., a Pennsylvania trial court determined that a provider’s chargemaster rates were unreasonable where the provider conceded that 94% of the time, it received 80% or less of its chargemaster rate. Furthermore, as discussed in the AJMC Report, certain state legislatures, including Massachusetts, Maryland, Colorado, and New York, have passed a variety of legislation aimed at protecting healthcare consumers, including: (1) increasing access to price and coverage transparency prior to the performance of services; (2) prohibiting healthcare providers from balance billing individuals; (3) “hold harmless” policies that require insurance companies to cover surprise bills sent to the individuals they insure; and (4) banning surprise billing in emergency situations while also setting up a dispute resolution mechanism for any costs individuals may be personally responsible for. Regardless of form, it is clear that individuals require protection from skyrocketing and seemingly out-of-control healthcare bills. Initial steps are being made to expand consumer protections and relieve individuals from the overwhelming burden of healthcare-related debt. As such, if you receive an outrageous healthcare bill, be sure to fully investigate your options. Most judges become judges by winning an election, or by receiving an appointment by an elected official, such as a governor, a legislature, or even being nominated by the President of the United States. However, there are some judges that are appointed by administrative agencies, such as the Securities and Exchange Commission (“SEC”), instead of by elected officials. A case currently before the U.S. Supreme Court, Lucia v. Securities and Exchange Commission, No. 17-130 (set for argument on April 23, 2018), addresses the legality of the use of Administrative Law Judges (“ALJs”) by the SEC. Several U.S. Courts of Appeal are split on the subject. The argument involves a bit of history. Congress has given the SEC the power to delegate enforcement proceedings to a hearing officer, and so the SEC often assigns ALJs to hear these proceedings. Indeed, the vast majority (over 80%) of the SEC’s enforcement proceedings are now presented to these ALJs. The decision of the ALJ almost always becomes the final decision of the SEC. This particular case begins with certain registered investment advisors who marketed a “wealth-management strategy” to manage retirement savings. Following allegations that they had engaged in misleading and deceptive conduct in marketing their “strategy,” these advisors were charged with securities laws violations and SEC administrative proceedings were commenced. Following comprehensive proceedings which included the testimony of witnesses, cross-examinations, documentary evidence, and other hearings, the advisors were found to have willfully engaged in deceptive conduct, materially misleading investors in violation of the Investment Advisors Act. The enforcement of the securities laws of the United States is vested in the SEC and the SEC is authorized under those securities laws to hold administrative proceedings to deal with alleged violations. Because the SEC has historically assigned ALJs to hold such hearings, a decision could impact the SEC’s enforcement of the securities law. What will happen in this case? The SEC will likely see a change in the process by which ALJs are appointed and also in the way in which ALJs may be removed. Importantly, since ALJs play significant roles throughout the different departments of the government, a decision could have widespread ramifications affecting far more than just the SEC. The briefs submitted by the parties, including the SEC, as well as those submitted by more than a dozen Amicus Curiae, emphasize that the current legal procedures and the challenges to the ALJs have created disruption in government proceedings and request the Supreme Court to provide guidance. Generally speaking, government entities and officials cannot be sued for actions they perform within the scope of their duties. The rationale underpinning this “absolute immunity” principle is that the public interest requires government officials to conduct themselves without fear that their decisions could expose them to a damages lawsuit from any unhappy private citizen. Sometimes, the question arises as to whether non-governmental entities who perform certain governmental functions may still invoke absolute immunity as a defense. The United States Court of Appeals for the Second Circuit recently confronted a strain of this question in City of Providence v. BATS Global Markets, Inc., No. 15-3057 (2d Cir. Dec. 19, 2017), in which the plaintiffs, large institutional investors, sued the NASDAQ, the New York Stock Exchange, and several other public stock exchanges for securities fraud in connection with the exchanges’ relationships with high-frequency trading (“HFT”) firms. Stock exchanges are “non-governmental entities that function both as regulators and regulated entities,” and, as such, register with the Securities and Exchange Commission as “self-regulatory organizations (“SROs”). Op. at 5. “As regulated entities, [exchanges] are subject to SEC oversight and must comply with the securities laws as well as the exchanges’ own rules; and as regulators, they are delegated the authority by the SEC to oversee and discipline their member broker‐dealers.” Id. Some background for those pondering what HFT firms do: “HFT firms, using sophisticated, computer‐driven algorithms to move in and out of stock positions within fractions of a second, make money by arbitraging small differences in stock prices rather than by holding the stocks for long periods of time” and “employ various trading strategies that rely on their ability to process and respond to market information more rapidly than other users on the exchanges.” Op. at 7. The plaintiffs alleged that HFT firms engaged in practices that harmed the public. For example, firms would “front-run” other investors, by “anticipating when a large investment of a given security is about to be made, purchasing shares of the security in advance of the investment, and then selling those shares to the buying investors at slightly increased prices.” Op. at 8. And these practices were made possible by the exchanges, who “developed products and services that give HFT firms trading advantages over non‐HFT firms and the investing public, [and who] sold those products and services at prices that ordinary investors could not afford.” Op. at 5-6. Specifically, exchanges 1) created valuable “proprietary data feeds” for HFT firms, which are comprised of detailed, unconsolidated trading information; 2) rented space to HFT firms in close physical proximity to exchange systems, causing the firms to receive electronic trading signals more rapidly than the general public (a practice known as “co-location”); and 3) developed and sold to HFT firms “complex order types,” which are pre-programmed commands which allow firms to circumvent the default exchange commands on how to process bids and offers. Op. at 8-12. The plaintiffs asserted that these HFT arrangements—which allegedly enriched the exchanges by several hundred million dollars—were manipulative, and moreover, that the exchanges misled public investors about the cumulative market effects of this predatory “two-tiered” system, putting them at an “informational disadvantage.” Op. at 33. In short, the exchanges had “rigged the market.” Op. at 26. The exchanges moved to dismiss the plaintiffs’ suit, arguing, among other things, that they were immune from liability. Reversing the lower court’s order of dismissal, the Second Circuit disagreed. Observing that an SRO is entitled to immunity only when acting “under the aegis” of its regulatory duties—or put another way “when it stands in the shoes of the SEC”—the Court provided a non-exclusive list of examples in which an SRO exercises such immunizing “quasi-governmental powers.” Op. at 19-20. Such examples include: enforcing security regulations through disciplining violating members or referring them to prosecutors; interpreting securities law regarding stock exchanges; or publicly announcing the cancellation of trades. Op. at 20. The common denominator in all these examples, the Court noted, is that the SRO “is fulfilling its regulatory role.” Op. at 20-21. The conduct alleged by plaintiffs, by contrast, namely, that the exchanges “intentionally created, promoted, and sold specific services that catered [only] to HFT firms” was “wholly divorced from the exchanges’ roles as regulators.” Op. at 23-24. Accordingly, the exchanges’ immunity defense failed. As the Court tersely put it: when an exchange “operate[s] its own market that is distinct from its oversight role, it is acting as a regulated entity—not a regulator.” Op. at 24 (emphasis in original). City of Providence should remind us that stock exchanges, despite their “critical function” of “ensur[ing] fair and orderly securities markets,” Op. at 21, are, at the end of the day, private, for-profit businesses not unlike the market participants they regulate. Reasonable people can debate whether, as a matter of policy, exchanges should be allowed to monetize this critical quasi-governmental function by developing and selling complex products which benefit only a tiny (and exceedingly wealthy) sliver of market participants, provided, of course, that such conduct is not manipulative and is adequately disclosed to the public. What City of Providence settles, however, is that such conduct constitutes the working of business, not government. Accordingly, exchanges should not expect immunity from lawsuits, either individual or class-wide, which vindicate public investor rights and ensure the stability and integrity of our capital markets system.